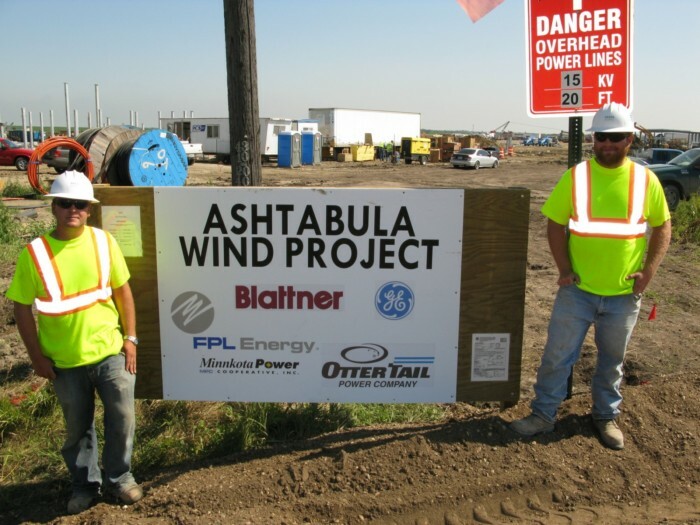 One of the largest wind farms in North Dakota, Ashtabula Wind Farm covers more than 75 square miles and generates enough power for 50,000 homes. Otter Tail Power owns 32 of the 1.5-MW turbines. The electricity generated by Ashtabula is transmitted from the Pillsbury 230-kv Substation in Fargo to the Maple River 230-kv Substation. During construction of this $400 million wind farm, we provided geotechnical drilling and on-site testing services for soils, concrete, masonry and grout. The project also required an extensive laboratory testing schedule.